Our distinct philosophy and innovative curriculum is inspired by the highly regarded Reggio Emilia approach and encompasses the internationally renowned school of thinking, Habits of Mind. 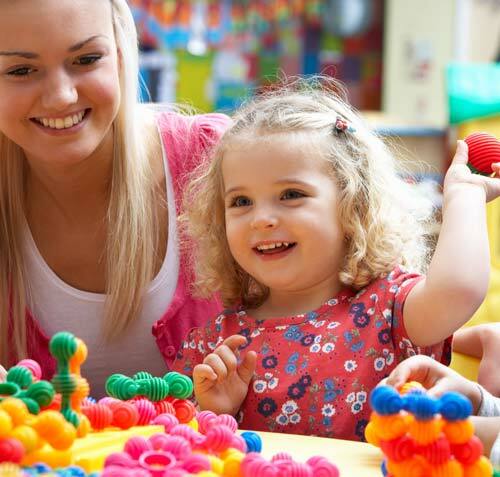 The Inspira Kids Early Learning Centres curriculum is based on the Victorian Early Years Learning Framework and encompasses the internationally renowned school of thinking, Habits of Mind. Along with our team of experienced educators, the result is an effective child-centric, skills-based learning framework that develops a child holistically. Our beautifully designed spaces are hallmarks of the Inspira Kids learning environment. We believe that our children learn best in beautiful surroundings, so we work hard in creating spaces that stimulate their senses and encourage their natural urge to explore everything around them. Our programs are inspired by the highly regarded Reggio Emilia philosophy. Originally developed by Loris Malaguzzi, in the Italian city of Reggio Emilia, this program has been adopted throughout the world. The Reggio Emilia approach to education is committed to the creation of conditions for learning that will enhance and facilitate children’s construction of “his or her own powers of thinking through the synthesis of all the expressive, communicative and cognitive languages” (Edwards and Forman 1993). 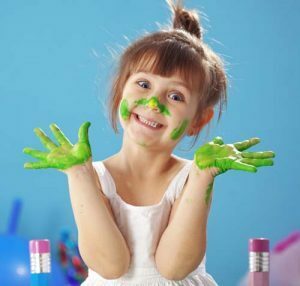 Emergent Curriculum – An emergent curriculum is one that builds upon the interest of the children. Topics for study are captured from the children’s conversation, through community or family events as well as the known interests and ability of the children. Planning is an essential component of the emergent curriculum and Teachers work together to formulate hypotheses on the possible direction of a project, the materials needed, and the possible parent and/or community support and involvement. Project Work and Investigations – Through their play and learning we allow children to build on their understandings of their world, through many means. Project work is fundamental approach to learning. Project based learning provides children with an opportunity to investigate and explore an area of interest. This includes inquiry based projects, which can last for as long as the children are showing interest in the topic. The project can be viewed in many aspects of the environment, painting and pretend play, modelling and music, ensuring each one of these allow children to use their senses and all their languages to learn. Each room has a project/s happening across the year (which will change and evolve over time, depending on the children). This allows all children to contribute when present. It is our belief that projects give children an opportunity engage in inquiry based play, to investigate and discover an area of personal interest and provide children with the power to construct their own learning. Collaboration – Collaborative group work, both large and small, is considered valuable and necessary to advance cognitive development. Children are encouraged to discuss, critique, compare, negotiate, hypothesize and problem solve through group work. Within the Reggio Emilia approach multiple perspectives promotes both a sense of group membership and the uniqueness of self. Our Educators – the educator’s role within the children’s learning is a vital . The role of the educator is first and foremost to be that of a learner alongside the children. The educator is a researcher, a resource and guide as she/he lends expertise to children. An educator will effectively listen, observe, and document children’s work and growth, and are to able to provoke, co-construct, and stimulate thinking and children’s collaboration with peers. Educators are committed to reflecting ontheir own teaching and learning. Documentation – Alongside the Children’s portfolio’s, documentation of children’s work in progress is viewed as an important tool in the learning process for children, educators and parents. Pictures of children engaged in experiences, their words as they discuss what they are doing, feeling, thinking and the children’s interpretation of experience through the visual media are displayed as a graphic presentation of the dynamics of learning. We use a variety of tools to document children’s learning. Partnerships with Families and the Community – We pride ourselves on fostering and sustaining respectful and pro-active partnerships with our families. We believe it makes a tremendous difference to how well a child flourishes, knowing they are in a nurturing circle of families, educators and community members. We care about getting to know your family and celebrate what makes you unique. We promote family involvement within our centres through our open door policy, family events and participation in our programs. We have a particular emphasis on the role of the environment both socially and physically. Our centres are designed to create learning spaces that reflect the home environment in terms comfort, colour and calmness. Inspira Kids centres contain state of the art, high quality equipment, age and developmentally appropriate educational resources, toys and activities. Our landscaped gardens have been designed to enhance and enrich your child’s imagination, creativity and sense of wonder. Educators carefully organise spaces for small and large group projects as well as small intimate spaces for one, two or three children. We value children’s work, therefore display it at their eye level for them to enjoy.